C.G. Jung placed such value on the complex that his psychology was originally termed “complex psychology.” In fact, Jung preferred this name over the more frequently used analytical psychology. As mentioned in previous blogs, there are a few “big” ideas in Jung’s psychology and without exception the complex is one of them. So two questions arise: 1) What is a complex? and 2) Why did Jung assign so much importance to this concept in his psychology? Brevity does not permit me to explore the rich multivalent meaning of Jung’s complex theory, so simply put: a complex is “an emotionally charged group of ideas or images”. Pay special attention to the key words in the aforementioned definition—emotion, idea, image. These words are essential in understanding the empirical foundations of Jung’s complex theory. Based on empirical observations, Jung located psychic disturbances in his patients during his early researches into the word association experiment while working at the Burgholzi Psychiatric Clinic (1900-1909) in Zurich, Switzerland. Certain stimulus words evoked a lagged response or odd reaction while others did not. Jung reasoned that the lagged response to the stimulus word was caused by a psychic disturbance, which, he viewed as a feeling-toned clusters of emotionally charged associations, and that he would later call the complex. Jung originally used Sigmund Freud’s model of the complex to account for the phenomenon, however, as the Jung-Freud philosophical gulf widened, so did Jung’s conception of the complex. Jung theorized that these feeling-toned complexes made up and structured the psyche, not unlike how fine radial threads make up a spider’s web. 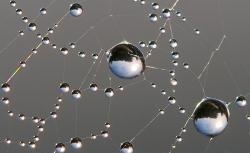 However, unlike nature’s elegant spider web, some complexes can split off from the conscious personality and may be deemed incompatible with the conscious will of the ego, which according to Jung, is a complex itself—the central complex of personal identity. In this way, Jung eventually referred to complexes as splinter psyches that had split off from the provincial boundaries of consciousness. Viewed in this light, complexes can be viewed as antagonistic to consciousness; alien and fearful thoughts that orbit about the ego like space-bound jetsam. It is also important to note that whereas the archetype is the building block of the collective unconscious, the complex is the building block of the personal unconscious. One could reason that every complex accretes around an archetypal nucleus that saturates it from within with a quantum of psychic energy. Thus, one can understand why Jung assigned such significant value to the complexes within his psychology. In their negative expression, they can lead to a distorted view of world and self. However, when viewed through the light of consciousness, they become known as accepted as a necessary part of one’s wholeness. Thus, in this way, one of the central aims of Jung’s psychology—the path toward wholeness—is the integration of complexes into conscious life.